Monsters are attacking your Viking village and it's your task to keep everyone safe from harm in this challenging defense strategy game! Support your 4 heroes in the fight against evil wolves, orcs, goblins and dragons and try to survive as many waves as you can. Level up your characters and be careful to pick the right strategy to attack and defend. Can you defeat the monsters once and for all and bring peace to your village? Welcome to our famobilicious HTML 5 cross-device game catalog. Here you can find more than 300 non-exclusive and exclusive licensed HTML5 games, reviewed, categorized and hand-picked for every taste. Feel free to browse through our games created by developers from all around the world. 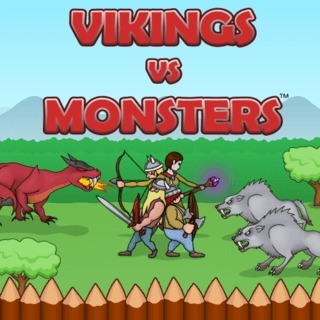 If you like Vikings vs. Monsters games, you should check out the other games from our famobilicious game catalog. Do you need help? Why don't you check out our Help & Support category and see if your questions and problems can be solved.